Swarathma is one of India's biggest folk rock bands whose music is as cheerful, in-your-face and colourful as their onstage costumes and theatrics. They bring together diverse musical styles and influences from rock and reggae to folk and classical music to create something truly unique. With a visually electric, high-energy stage presence, they're one of India's busiest bands, playing to thousands of people in concerts and festivals over the years. Their first album Swarathma won the JD Indian Rock awards titles for Best Album, Best song and Best band of the year in 2009! Their music video Pyaasi is on air on MTV and other channels. They were featured on The Dewarists, a Cannes winning show that telecasts on Star World. They've toured the UK, Australia, Hong Kong, Morocco and Singapore taking their brand of folk rock all over the world. 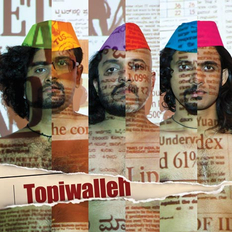 Their second album Topiwalleh was released to critical and popular acclaim in May 2012. Produced by ace musician and composer Loy Mendonsa, the album explores several lyrical themes that see the band taking a stronger stand, but not taking sides. The heavier-sounding album was recorded at Mumbai’s Empire Studios. They play a series of concerts called ‘Action Replay’ via which they play for causes or communities that resonate with their music. They play free concerts for leprosy homes, blind schools, villages, for causes like the drive against corruption, the movement fighting violence against women among others.